To celebrate their 10-year partnership with Bugatti, Parmigiani Fleurier has created a special anniversary timepiece – The Bugatti Mythe. According to Parmigiani Fleurier, “When Michel Parmigiani visited Bugatti’s manufacture in Molsheim for the first time, the car manufacturer showed him the Bugatti Veyron, a unique super car which then inspired the first watch created in the collection. The Mythe joins the Parmigani Fleurier Bugatti: 370, Super Sport, Atalante, Vitesse and Aerolithe watch models. The Mythe is being debuted at Pebble Beach’s Concours d’Elegance this coming weekend. Two additional anniversary limited edition watch models will be debuted last this year. The Bugatti Mythe will be produced as a unique edition and is powered by caliber PF370, which features manual winding using a dynamometric starter. It comes in cylindrical shaped 18K rose gold case that measures 32.40 by 52.50 by 18.6 mm, and has a satin and polished hammered finish. The movement beats at 3Hz, has 314 total components, 37 of which are jewels, and a 10-day power reserve, thanks to 2 series-coupled barrels. The main plate is decorated with circular graining and is hand bevelled. 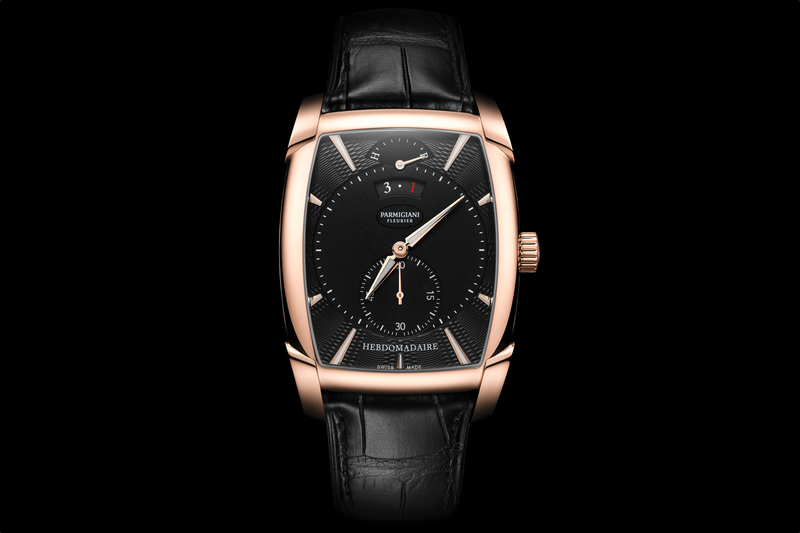 Functions include hours and minutes, along with a power reserve indication on the side of a rotating drum. The sapphire crystal is anti-reflective. The back is clear and is engraved with an individual number. 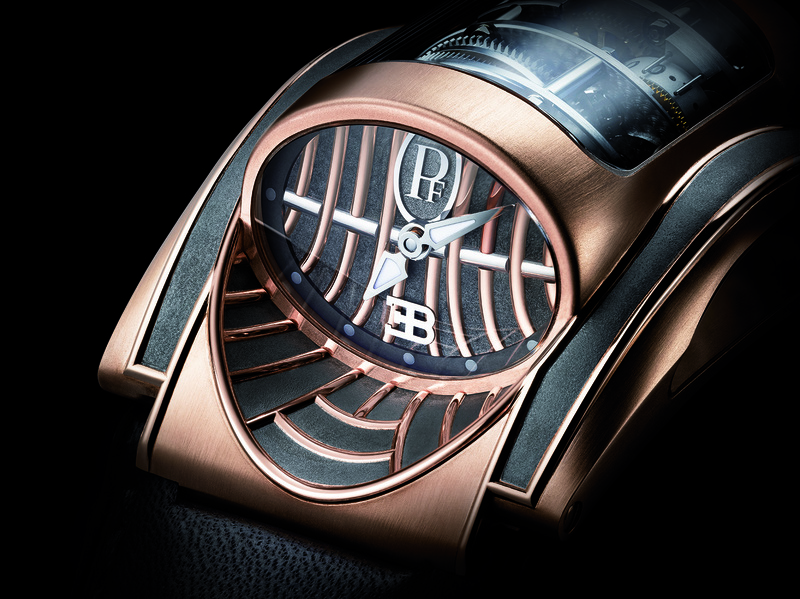 The dial is ruthenium colored with an 18K rose gold grill which is inspired by the legendary Bugatti Type 57 car grille. 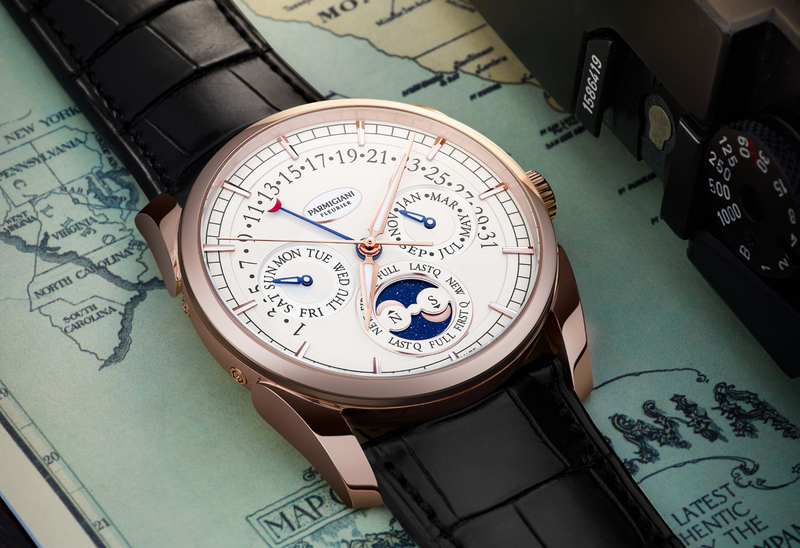 The dial has transferred indexes marking the hours and delta-shaped hands with luminescent coating. Water-restiance is 10 meters (which technically means the watch is not water-resistant). 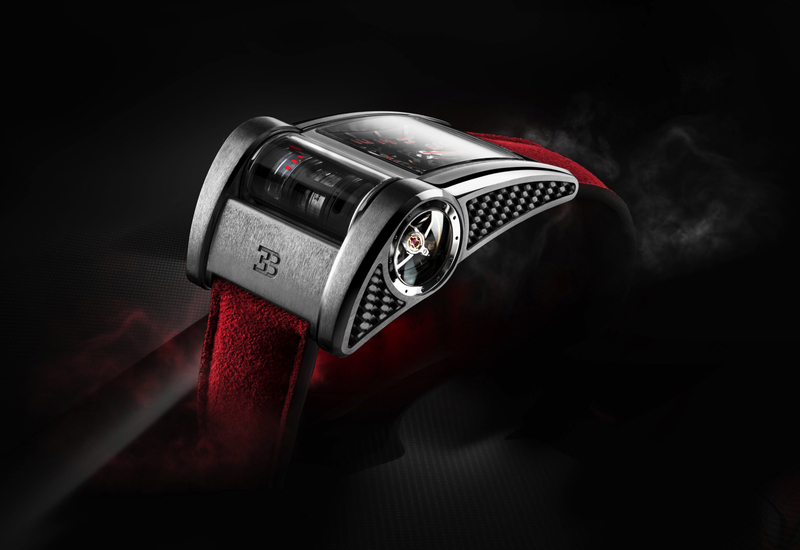 The Bugatti Mythe is presented on a black Hermes calf skin strap with rose gold folding buckle.